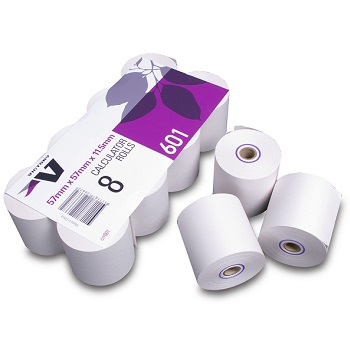 Cash Register and Calculator Rolls ideal for use in retail stores and restaurants! Single Ply Lint Free White Bond Rolls. Size - 57 mm x 57 mm with 11.5 mm Core.